Torino's disappointing start to 2017 continued as they were held to a 1-1 draw by an impressive Atalanta side on Sunday afternoon. Torino made the brighter start and were ahead after only sixteen minutes when excellent work from Antonio Barreca down the left wing resulted in his cross being headed home by Iago Falque. At the other end, Atalanta were almost level when Antonio Barreca inadvertently deflected the ball onto his own crossbar from a corner. The away side were coming into the game and Joe Hart had to make a good save to deny Rafael Tolói. Atalanta were deservedly level mid-way through the second half when Andrea Petagna rolled Luca Rossettini and stabbed the ball past Joe Hart. Former Toro midfielder Jasmin Kurtič missed two great chances to give La Dea the lead, but he blazed his effort high over the crossbar on both occasions. Adem Ljajic came closest to scoring a winner for Toro, but his free kick went narrowly wide of the post as the Granata had to settle for a point. 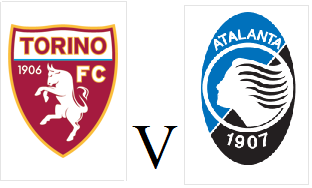 Torino will look to win their first game of 2017 when they face Atalanta in the early kick off on Sunday afternoon. After a disappointing result at Bologna last weekend, the Granata fans will be hoping for a much improved performance at the Stadio Grande Torino. Andrea Belotti is back from suspension, whilst Leandro Castan could return to the starting eleven following injury - however Davide Zappacosta will miss out. Atalanta have been the surprise package of the Serie A season so far and are currently in 6th place, having won three of the their last four games. Torino are still looking for their first win of 2017 after they fell to a disappointing away defeat against Bologna on Sunday afternoon. Toro almost went behind in the opening five minutes, but Joe Hart produced an excellent save to deny Marios Oikonomou. At the other end, Adem Ljajic almost gave the Granata the lead but his long range free kick was tipped over the bar by Antonio Mirante. Bologna took the lead two minutes before half time, as former Toro midfielder Blerim Dzemaili swept home from close range. Marco Benassi almost brought Torino level in the second half, but he was unable to get a decisive touch from Iago Falque's corner. With Toro looking for an equaliser, Sinisa Mihajlovic threw on Juan Iturbe and Josef Martinez, but they were caught on the counter attack by Dzemaili who scored his second of the game. This was Torino's seventh defeat of the season, six of which have been away from home which clearly shows where the Granata needs to improve. 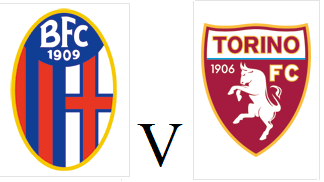 Torino will look to improve their miserable away form when they travel to Bologna on Sunday afternoon. The Granata have only won two away games all season, both of which against teams in the bottom three. However, they will have to face Bologna without the suspended Andrea Belotti who was the match winner in this fixture last season as he scored a last minute penalty in April. Belotti is expected to be replaced in the starting eleven by Lucas Boyé with Maxi Lopez being omitted from the squad once again due to issues with his weight. In contrast to Toro, Bologna have struggled at home in recent months, winning only one of their last six games - a 3-1 win over Palermo in November. Torino let a two goal half time lead slip as they were held to a 2-2 draw with AC Milan, with Adem Ljajic's first half penalty miss proving costly. Torino made a bright start and were ahead after twenty minutes when Andrea Belotti reacted quickly to re-direct Adem Ljajic's wayward shot past Gianluigi Donnarumma. Toro doubled that lead five minutes later as a goalmouth scramble finally resulted in Marco Benassi back-heeling the ball into the net. After an excellent run down the left wing, Antonio Barreca won his side a penalty after he was upended by Gabriel Paletta. Adem Ljajic stepped up to take the spot kick, but his effort was straight at the teenager Donnarumma who has now saved penalties in both league games against Toro this season. That penalty save seemed to re-energise AC Milan and they reduced the arrears ten minutes into the second half through Andrea Bertolacci's scrappy effort - which was awarded with the use of goal line technology. Toro immediately went up the other end and thought they had scored a third goal, but Marco Benassi was adjudged to be offside as he tapped home. On the hour mark, Milan were awarded a penalty of their own when Paletta was bundled to the ground by Luca Rossettini. Carlos Bacca stepped up and sent Joe Hart the wrong way to equalise. Alessio Romagnoli was sent off in the closing stages after receiving a second yellow card for a foul on Belotti, but Toro were unable to make the numerical advantage count. 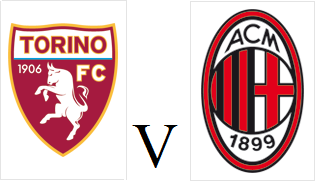 Torino will look to gain revenge on AC Milan for knocking them out of the Coppa Italia when they face the Rossoneri on Monday evening. Despite an impressive first half performance in which they took the lead, Toro were unable to hold on and were beaten 2-1 on Thursday night. Iago Falque has returned to the Toro squad but Leandro Castan is still absent so Luca Rossettini and Emiliano Moretti should continue in central defence. AC Milan have won three of their last five league games and are looking to complete the league double over Toro having also beaten them on the opening day of the season. Torino were eliminated from the Coppa Italia on Thursday evening as AC Milan came from behind to progress to the quarter finals. Sinisa Mihajlovic named a strong starting eleven and that decision looked to pay off when top scorer Andrea Belotti gave Toro a deserved lead after Marco Benassi's clever assist. There was a worrying moment for Joe Hart as he collided with Milan striker Gianluca Lapadula's studs, but despite a long delay the England international was given the go ahead to continue. However, the home side levelled things just after the hour mark when Juraj Kucka, a man who Mihajlovic wanted to sign in the summer, slid home from a difficult angle. Moments later the tie had been turned completely on its head as Giacomo Bonaventura volleyed Suso's cross past Joe Hart. The Granata had chances to force extra time, but Andrea Belotti was twice denied by Gianluigi Donnarumma. In the closing stages, Antonio Barreca was dismissed for two yellow cards to cap off a disappointing night for Torino. 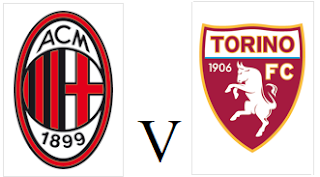 Torino will travel to the San Siro on Thursday evening looking to secure a place in the Coppa Italia quarter finals, as well as avenging a defeat against AC Milan from earlier on in the season. The home side beat Toro 3-2 on the opening weekend of the season as Gianluigi Donnarumma saved an injury time penalty from Andrea Belotti. Both sides are taking this competition seriously and are likely to field strong teams, although Toro will be without Leandro Castan and Iago Falque through injury. 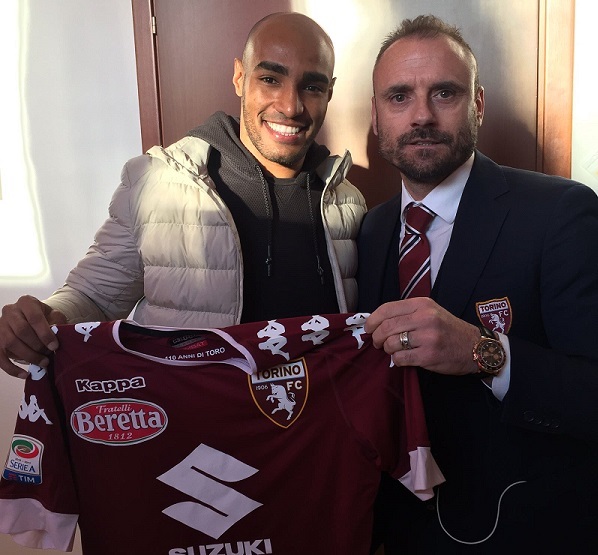 Torino have completed the signing of Brazilian defender Carlão from Cypriot side APOEL Nicosia on a permanent deal. Carlão previously played for French side Sochaux before spending the last three years with APOEL with whom he has played in both the Europa League and Champions League. Torino were unable to find a breakthrough in Reggio Emilia as they began the New Year with a 0-0 draw with Sassuolo on Sunday afternoon. Toro started the game brightly and should have taken the lead in the opening stages, but Adem Ljajic was guilty of a heavy first touch when well placed. Andrea Belotti almost scored his first goal of 2017, but his sensational attempt at an overhead kick went narrowly wide of the post. On the stroke of half time, Luca Rossettini almost diverted Ljajic's cross towards goal at the near post. Juan Iturbe came on to make his Toro debut in the second half as the Granata looked for a winning goal, and Andrea Belotti once again went close, this time with a header. Iago Falque almost claimed all three points for Torino, but his free kick which looked to be heading into the net, only found the side netting. Sassuolo had a few half chances in the latter stages of the second half, but the home side appeared to be satisfied for a point from a game that Toro had largely controlled. 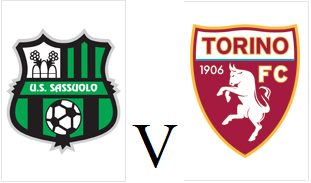 Torino will travel to Reggio Emilia to face Sassuolo on Sunday afternoon as they look for three points in their first game of 2017. New signing Juan Iturbe could feature and make his debut for the Granata, but Afryie Acquah is on international duty with Ghana so will miss out. After an impressive 6th placed finish last season, Sassuolo have struggled to replicate that form in this current campaign and have lost their last three matches. 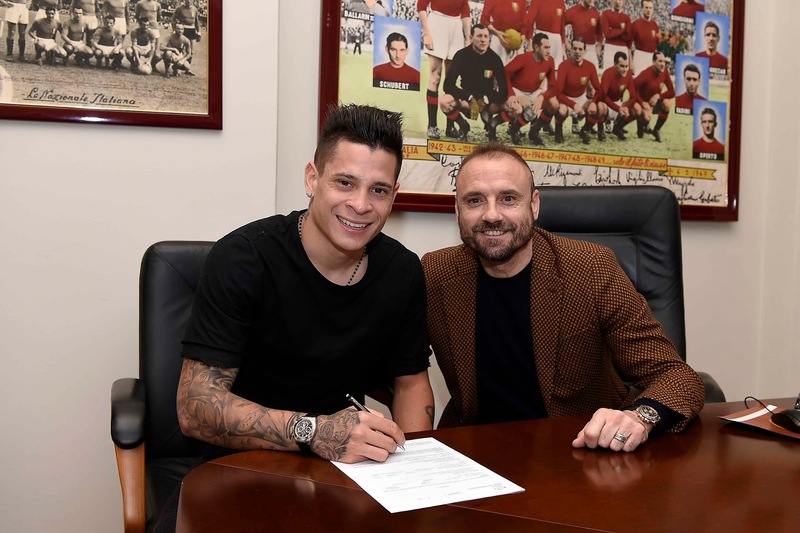 Torino have completed the loan signing of Paraguay international Juan Iturbe from Roma until the end of the season. Iturbe has found opportunities limited at Roma this season, but Toro will be hoping the winger can replicate the form that made the Giallorossi pay Hellas Verona €22 million for his services back in 2014. As part of this deal, Torino have completed the permanent signing of Spanish winger Iago Falque who initially joined the club on loan from Roma in the summer. In other news, reliable defender Cesare Bovo has left the club to join Serie A strugglers Pescara on a permanent deal.